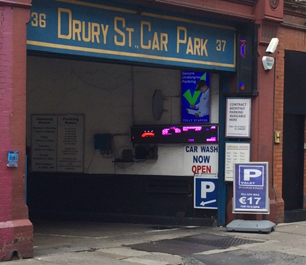 Drury Street Underground Car Park is a privately owned and family run parking facility located in the heart of Dublin 2’s Central business and retail district. Established in 1981 and in the same ownership and management ever since, we are passionate about delivering a personal and professional parking service. Drury Street Underground Car Park has been serving the parking needs of both shoppers and business users in Dublin 2 since opening in 1981. 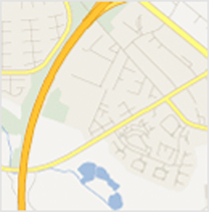 In addition, we also provide guest parking for a number of hotels in the area. Poorly supervised car parks are notoriously a haven for vandals and antisocial behaviour. 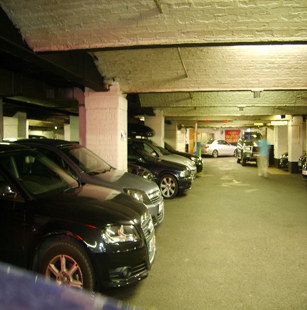 Drury Street Underground Car Park is one of the safest car parks in Dublin. Being entirely on one level, the car park is guarded continually and is totally secure; the entry of all pedestrians to the car park is politely authorised by security; unauthorised persons are not allowed to enter or loiter at the entrance. The entry of all pedestrians to the car park is politely authorised by security; unauthorised persons are not allowed to enter or loiter at the entrance. 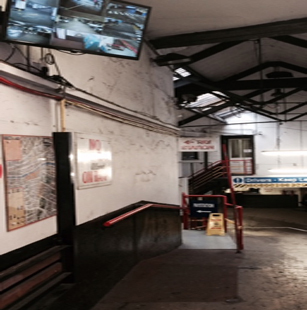 In addition, our 15 camera Digital CCTV is continually monitored both onsite and remotely. All images are recorded. Our night staff pay particular attention to the personal security of our customers and this is why we have developed a core of regular evening users over the years. The Croftville property company LTD is located in Dublin 2 and is the parking services company responsible for the Drury Street Underground Car Park. The facility provides secure valet garaging at competitive rates and can also quote for your corporate or long term needs. please contact us for further information.